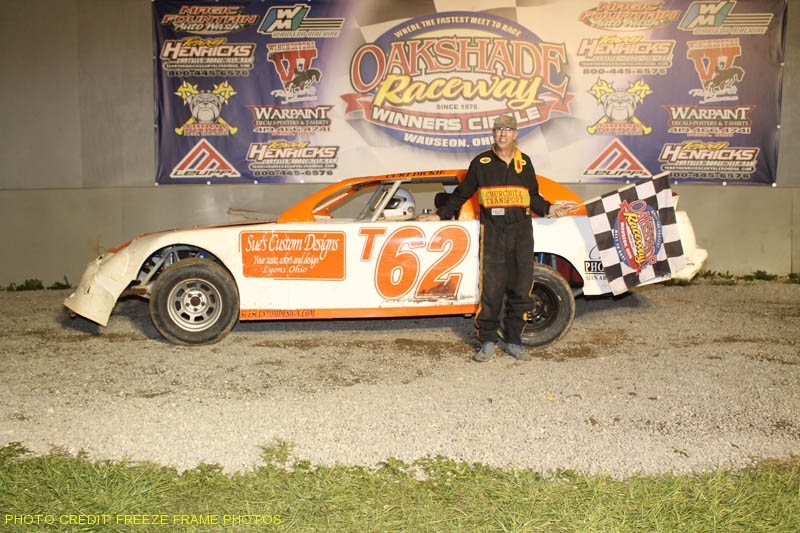 Saturday night was The Lead Shed night which featured Rusty Schlenk fending off a late race charge from Matt Miller to earn his third UMP Late Model feature win of the year at Oakshade Raceway. 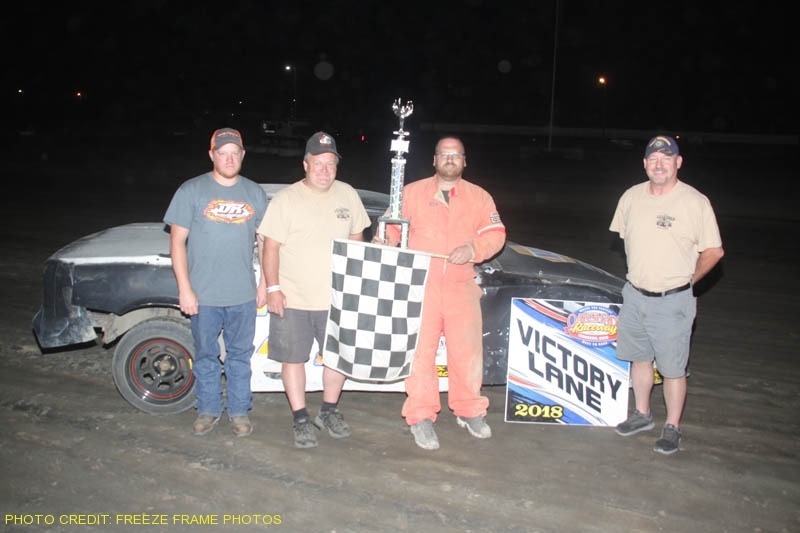 Schlenk started on the pole of The Lead Shed UMP Late Model feature and immediately took the lead, but on the second lap he slipped up high in turns three and four and Casey Noonan pounced to take the top spot away. Schlenk fought back and reclaimed the point by the completion of lap three and then began to pull away. The only caution of the 25-lap came out on lap ten after Brad Wade spun. Matt Miller restarted second, but the McClure, Ohio driver was able to pull away once again. A few laps later, Miller began to chip away at Schlenk’s lead and caught him with five laps to go. The two drivers battled each other while battling lapped traffic at the same time. Miller was able to pull up alongside Schlenk a couple times in the closing laps, but got caught behind a pair of lapped cars on the final lap that forced him to settle for a second place finish behind Schlenk. The Lead Shed AmeriGas UMP Sportsman feature was a bit of a mess. Multiple caution flags, and even a couple red flags kept the field from establishing any kind of rhythm. Brandon Gregory from Swanton, Ohio, started on the pole and lead the entire distance of the race despite the multiple restarts. The first caution flag flew on lap five for a spin and then it was about a caution a lap and a red flag for a fire that erupted on Dan Shaffer’s car while under a caution. Finally after a few more on track altercations, the 20 minute time limit had expired which called for a green-white-checkered finish, but the caution flag flew again as the white flag was about to fly which then resulted in a green and white together, one-lap shoot out in which Gregory held off Rusty Smith for his first win of the season. 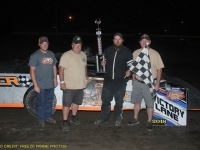 Mathew Chapman finished third and Mike Jessen took fourth after starting 12th. Chris Williams finished fifth. 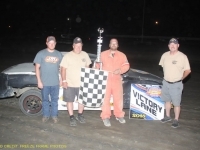 The Lead Shed Hot Rod Welding & Engineering Bomber A Main produced one of the most exciting finishes of the night. 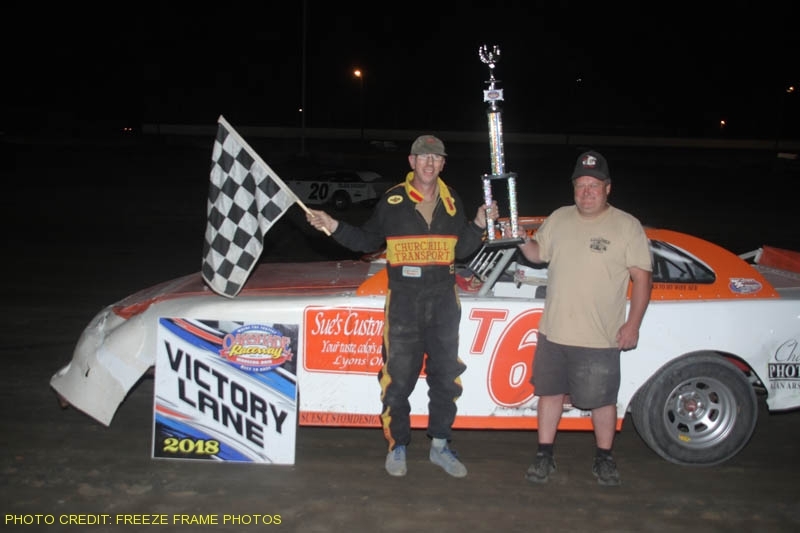 Terry Rushlow led the majority of the race, but things heated up in the final two laps. Current Bomber point leader Jeff Foks Jr. had been pressuring Rushlow for much of the race and finally got by for the lead with two laps to go. 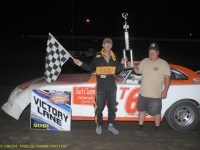 Jackson, Michigan’s Chris Henry followed Foks past Rushlow for second and then Foks and Rushlow duked it out, racing side by side on the final lap for a photo finish with Henry declared the winner. It was his fifth consecutive Bomber A Main win. 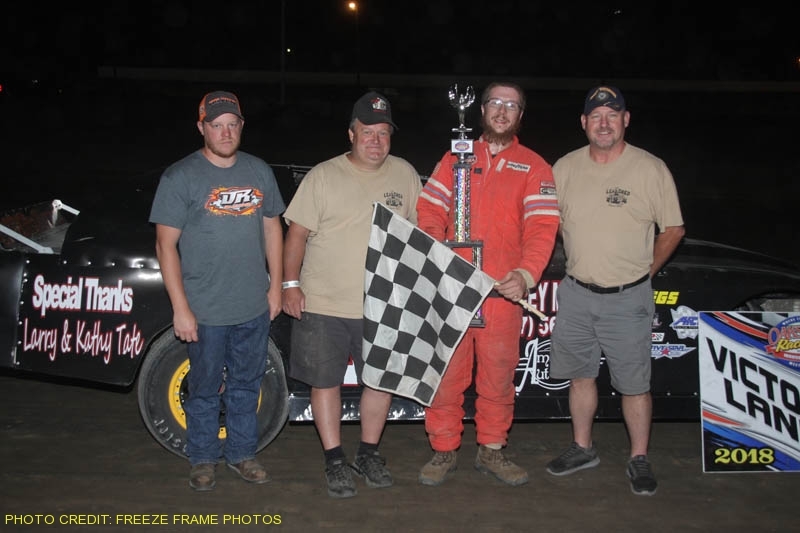 Rushlow ended up finishing third with Cody Houston and Rich Riffe rounding out the rest of the top five finishers. 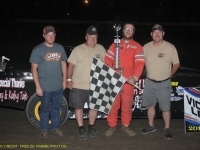 Nathan Goodman from Wauseon, Ohio, started on the pole of The Lead Shed Compact feature race and went on to pick up his first victory of the season. In fact the top three finishers finished in the positions they started in with Carter Murday second and Matt Brazeau third. Joe Elliot pick up one position to finish fourth and Aaron Van Pelt slipped back one to end up fifth. 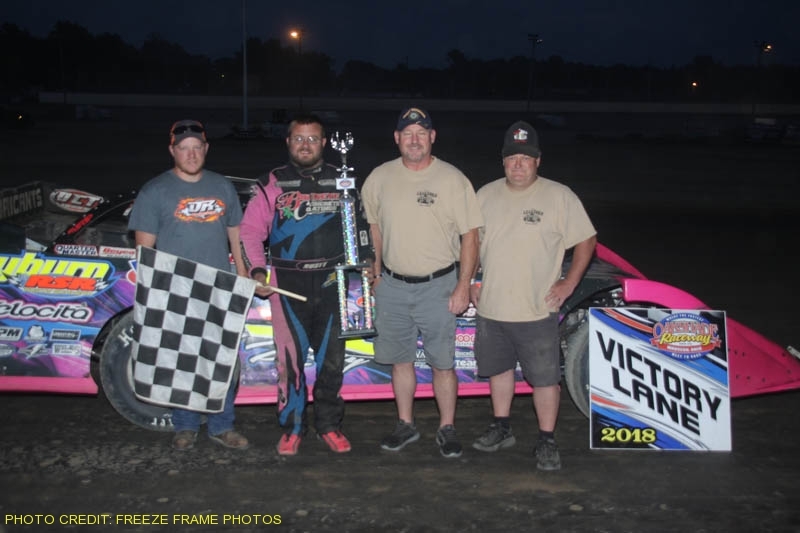 Curt Dickie drove to the front of The Lead Shed Hot Rod Welding & Engineering Bomber B Main for his first feature win of the year. The Lyons, Ohio driver started eighth. 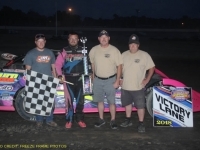 Dave McMannamy started on the pole and held on to finish second with Haley Dippman ending up third. Joe Nickloy and Scott Hammer drove from deep in the field to finish fourth and fifth respectively. 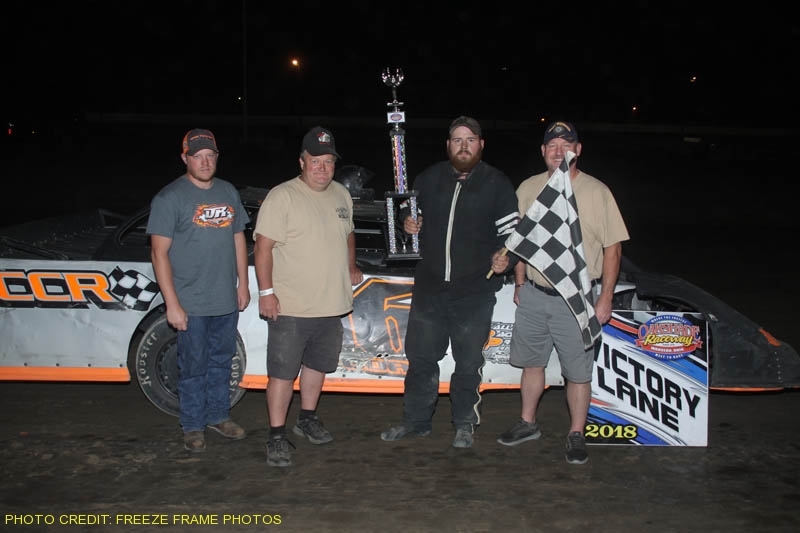 The racing season moves into August with the Evergreen FFA/Alumni Night featuring a full racing program of UMP Late Models, AmeriGas UMP Sportsman, Hot Rod Welding & Engineering Bombers and Compacts. Gates open at 4pm, hot laps at six and the racing action starts at 7pm sharp!